Heard some people mentioning the .NET/C# won't be part of Windows 8. Seems like it would have been a crazy move by Microsoft. 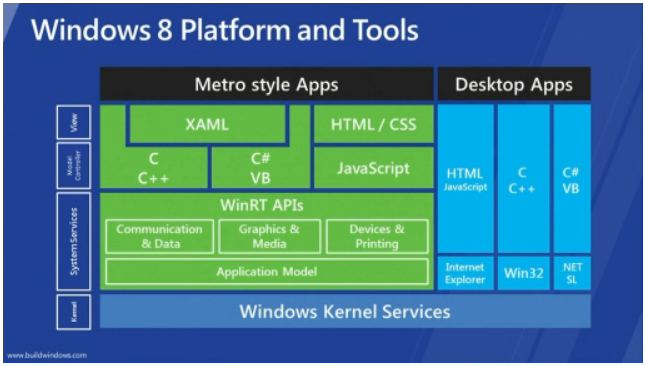 Good to see it up there in the Windows 8 Platform and Tools diagram during the build conference (@1:43:52). Update: Replaced isn't right. Seems like WinRT is more like a sand-boxed alternative to using the full .NET stack. This will allow Microsoft to make assurances about applications that are downloaded from the application store. See WinRT demystified.